The Axis. The newest development in town, with the latest technology. 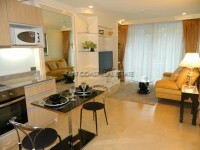 Sited at the top of Thrappaya Road, The Axis is convenient to both Pattaya and Jomtien, with taxi stops right outside. With an infinity pool with great views over Pattaya City, a state of the art gym, twin sauna rooms, fingerprint access technology, and ample parking, the complex is in high demand. The 38m² apartment is on the 7th floor, with easterly views. It is rented fully furnished including a European kitchen with washing machine, and the internet and cable TV are included in the price! 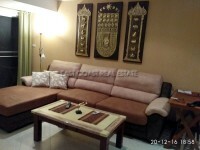 Can be rented short term at 23,000 baht, but cheaper for long term.